When Flowers Fall on the Rain will be released on May 5, 2019. You can pre-order now at Bandcamp. A new musical release from the founders of Indalo Wind, father and son, Eric & Jacob Walter -- When Flowers Fall on the Rain is a haunting 27-minute soundscape, inspired by the Cambodian countryside, and by the story of those who work to clear that countryside of landmines and other unexploded ordnance left behind from years of war. Field recordings from Cambodia and Laos by Eric Walter, October-November 2018. All proceeds from sales of this music will benefit the Land Mine Relief Fund, a U.S. based 501c3 charity that supports the work of Cambodian NGOs. 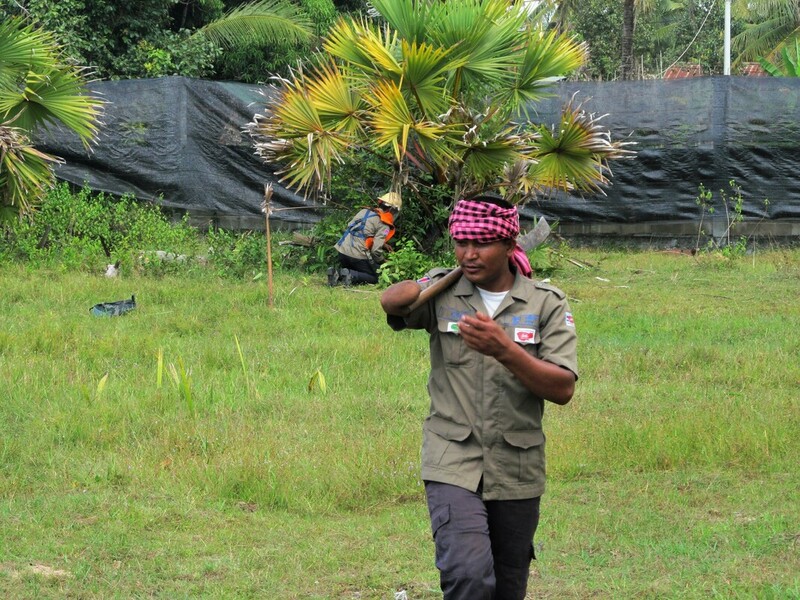 LMRF was established in 2003 to support the mine-clearing work of Cambodian Self-Help Demining, a Cambodian NGO that works in “low priority” villages throughout Cambodia with a group of approximately 25 de-miners. These brave men and women put their lives on the line 25 days out of every month, heroically helping to make rural Cambodian communities safer.